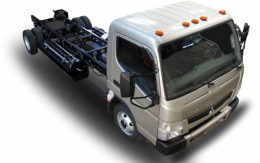 Fuel cell truck startup Nikola Motor Co. added depth to its management team by naming a key technology player from Ryder System and the managing director of an investment house to senior positions. 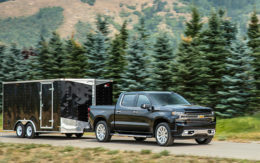 The Salt Lake City truck designer said Wednesday that Scott Perry, Ryder’s chief technology and procurement officer, will become chief operating officer. Kim Brady, formerly the managing director of SOLIC Capital Advisors, was named chief financial officer. “Kim brings decades of Wall Street and private equity experience, and Scott Perry is one of the top logistic and industry experts in trucking,” said Trevor Milton, Nikola’s founder and chief executive. 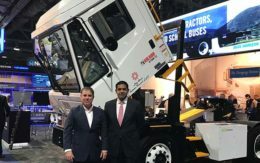 Perry is known in the trucking industry as a technology guru, working deals to have Ryder distribute advanced vehicles such as Nikola’s pending hydrogen-fueled trucks and electric pickups from Workhorse Group among other initiatives. He was a member of Ryder’s Advanced Vehicle Technology strategy team and held other management positions. “It’s a good move for Nikola to get someone on board that really knows the commercial trucking business,” said Sam Abuelsamid, senior analyst at Navigant Research. Picking up a senior industry executive such as Perry will help Nikola attract customers and make sure the trucks are developed and tested to meet customer requirements, he said. Nikola is developing the Nikola One, a Class 8 electric hydrogen hybrid with a 300kW fuel cell and a 320kWh battery bank. 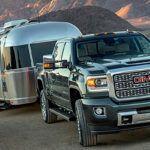 The company said the truck will have a range of about 800 miles and will be refueled through a planned nationwide network of 376 fueling stations. It will begin testing the vehicles next year, according to Milton. “There are going to be multiple different hats to wear and that’s what is going to be exciting in working with the Nikola team and applying 25 years of experience in the commercial transportation market and helping bring what I think is a great product to the industry,” Perry said. 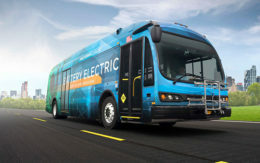 Perry said Nikola plans to put some of its trucks into fleet hands for early validation as early as next year. 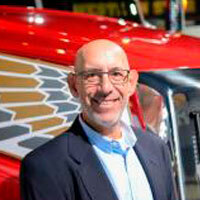 His former employer Ryder will serve as the truck’s U.S. distributor and maintenance provider. Both executive hires represent “a smart move” for Nikola, he said. Nikola said Brady will start work on a $150-million funding round. The trucking startup completed a $110-million funding round in late June. Nikola also is working on a portfolio of electric activity vehicles. In August, it said it has completed design and specifications for the Nikola Zero, a four-seat, four-motor, 400-volt plug-in electric all-terrain vehicle dubbed a “UTV,” for utility “task” or “terrain” vehicle. Now it also plans a personal watercraft, saying Wednesday that it has entered the business through the acquisition of Free Form Factory, a Sacramento, Calif., company that designs electric watercraft. Jordan Darling, Free Form’s chief executive, will become vice president of Nikola Powersports and will be responsible for both the watercraft and UTV lineup. Read next: Nikola One Hydrogen Semi-Truck – Game-Changer or Pipe Dream? The caption under the picture says “Nikola One” but it is the Nikola Two in that picture (mid-roof, regional version, vs. the ‘original’ Nikola One, which has a higher and longer sleeper, and rounder lines — even says so on the door). (Unfortunately a lot of stories have also attached the Nikola One picture into stories about Tesla’s hoopla about their plans to enter the space as well — that would mean competing against the Nikola Two, then, if it happens!). Corrected. Our production error. Thank you for pointing out.